Plan your next Cebu trip. If you’re looking for a getaway from Manila traffic, earmark the upcoming long weekends to fly out to Cebu in Central Visayas, home to some of the country’s best beaches and tourist spots. Exclusively for UnionPay Cardholders, Days Hotel at Toledo in Cebu is offering Classic Cardholders a Stay 3 nights, Pay 2 nights for a Deluxe King Room! Platinum and Diamond Cardholders may also avail of a Stay 3, Pay 2 promo for a Premiere Room. For more information, visit http://bit.ly/2D6qmfs. You may also enjoy a wide range of local and international cuisines at the Days Hotel, Toledo with a 10% discount on food and beverage for all UnionPay Cardholders! For more details on reservations and availability, visit http://bit.ly/2EzuHF4. Microtel by Wyndham at the UP Technohub in Quezon City has special offers for UnionPay Classic, Platinum and Diamond cardholders. For Classic Cardholders, Microtel by Wyndham has a Stay 3 nights, Pay 2 nights for two queen beds promo. Platinum and Diamond Cardholders get an extra 10% off on food and beverages aside from the Stay 3, Pay 2 promo. Check out the full promo details at http://bit.ly/2FwXETq. Microtel by Wyndham–Acropolis in Libis, Quezon City will be giving Classic Cardholders a Stay 3, Pay 2 discount plus 20% off on all yoga class packages at Yoga Tree Manila, and 30% off on all services at Lumiere Spa. Platinum and Diamond cardholders will get the same privileges as Classic cardholders with an additional 2 p.m. late checkout provision. For more details, visit http://bit.ly/2D2kJyK. Book discounted flights for your next vacation. Plan ahead for your next vacation and book file you’re relaxing during the holidays, plan your next vacation and book flights and accommodations with UnionPay. Bring your UnionPay Card with you during your travels for awesome discounts and freebies at various airport shops and malls abroad! Visit www.unionpayintl.com/shopping/en for a list of offers. Win Business Class PAL tickets! For a chance to win business class tickets for your next flight with PAL, join UnionPay Spend & Win Business Class Tickets promo. For every Php500 purchase with your UnionPay Card, you will be entitled to one raffle entry. Interested participants must first register at www.unionpayspendandwin.com.ph to take part in the raffle. Promo will run from Nov. 24 until Feb. 28, 2018, so there’s ample time to collect those receipts and join the contest. Visit www.unionpayintl.com/shopping/en for more details on ongoing offers and promotions. UnionPay International is a global payment network that covers over 160 countries and regions. 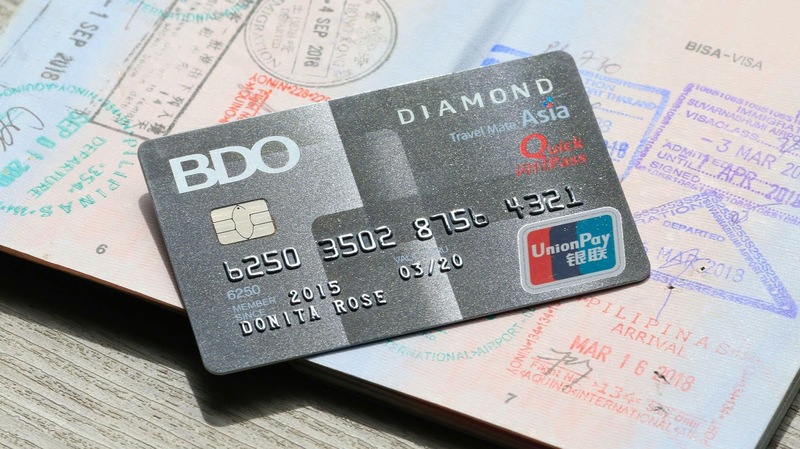 As one of the fastest growing payment networks in the world, UnionPay Cardholders may enjoy exciting privileges in The Philippines and at your favorite travel destinations, including discounts at popular retailers in the Philippines, Thailand, Singapore, Japan and many more; exclusive e-coupons with U Plan via the UnionPay International app; and Global Airport Fiesta, which offers up to 25% in discounts for UnionPay Cardholders at over 100 airport duty-free retail outlets worldwide. In the Philippines, a range of UnionPay Prepaid, Debit and Credit Cards are issued by BDO, BOC, Omnipay, PNB and RCBC Bankard. UnionPay Cards are accepted at major retail, lifestyle and F&B outlets. Shop, Dine & Travel Your Way with UnionPay!